What's the perfect day as a truck driver? Think about it for a moment. What states are you traveling through? What music is on the radio? What's the weather like? Each person has his or her own answer. Whatever your perfect day is...it all starts with CDL training. Start your career now with our company paid CDL training program and you could be on the road making up to $50,000 in just the first year! Just take a few moments to complete our online driver application now. "Ok guys, this is coming from a PAM Mentor's view. 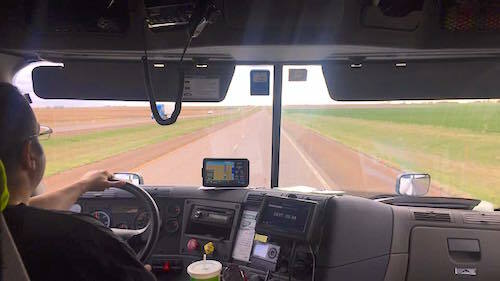 The perfect day on the truck is a day that ends safe with no incidents and remembering to always use the SMITH system. What's Your Perfect Day Like? Find a truck driver job and create your own perfect day out on the road. We have several PAM driver job openings based all throughout the U.S. - from Texas to Michigan. Click here to find out where we have openings close to you.